Tuscany Vacation Journey – Small Group Tours by Viva Italy Tours, LLC Specializing in effortless, authentic travel to Tuscany. 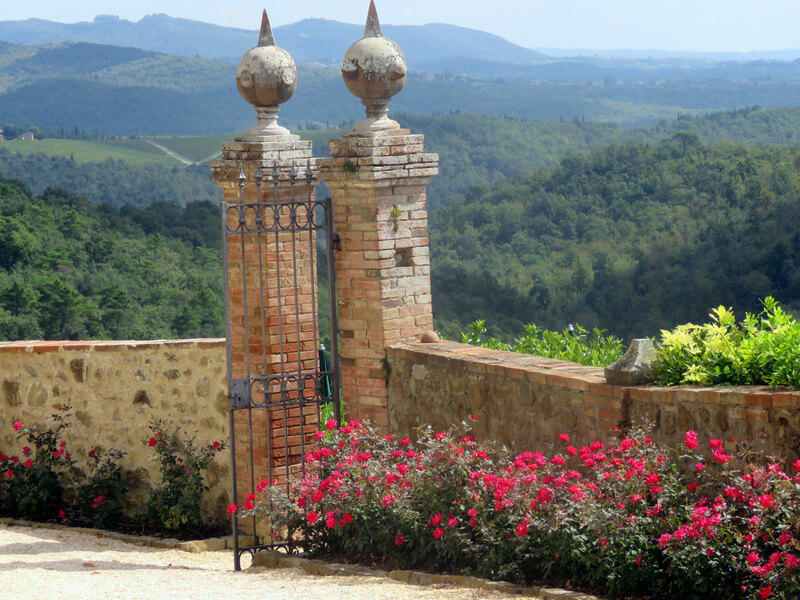 Journey into the Heart of Tuscany on a small privately guided tour. Escape to the vineyards and rolling hills of rural Tuscany to stay at the 12th century, recently renovated former monastery in the heart of Chianti. You will enjoy marvelous views of the countryside from the luxurious rooms and terraces. The authentic Tuscan cuisine will delight your taste buds. Whether your prefer to focus on the local cuisine, wines, or the art of this historically rich area, you can enjoy life at your own pace. Situated amongst the vineyards and rolling hills of Tuscany, this former monastery is one you won’t soon forget. The views of the surrounding rural areas provide a peaceful state of mind.